One of the most common questions I hear from patients is whether or not it is safe to not have periods. Most women are so accustomed to their menstrual cycle that the notion of not having a monthly period feels strange and unnatural. However, the reality is that not having a period can be perfectly safe in certain situations. 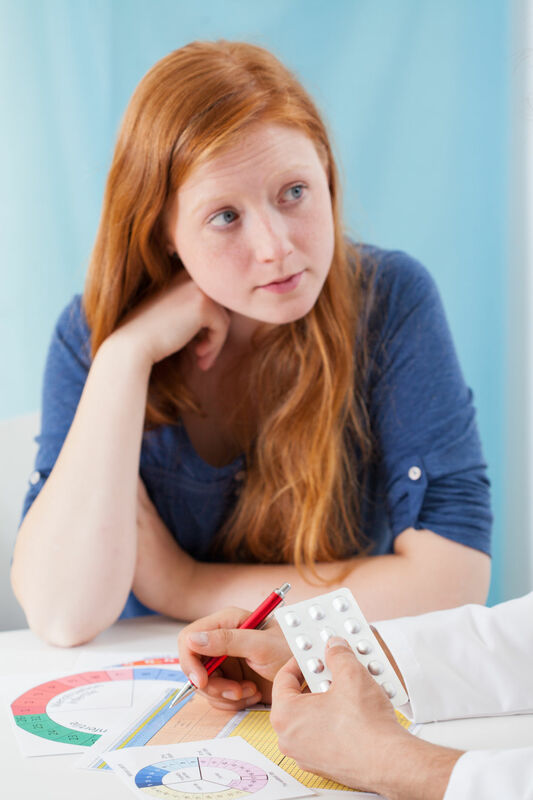 It’s helpful to understand that the monthly bleeding that women experience while taking some forms of birth control, including the pill, patch or ring—is not the same as a natural menstrual period. Natural menstruation occurs as a result of the changes in hormones that are triggered by ovulation, or the release of the egg from the ovary, and the buildup of the uterine lining in preparation for pregnancy. When pregnancy does not occur, the body reduces the amount of those hormones that it makes. This “withdrawal” of hormones causes your body to shed that lining as your monthly period. Continuous use of certain types of birth control allow women to skip their periods. In these cases, because there is no hormone-free week, there is no withdrawal bleed. Many women ask me, “Where does all the blood go if it doesn’t come out?” the answer is: there is no blood building up in the first place. Using the method continuously without a break prevents the uterine lining from developing. Certain hormonal contraceptives, such as the Mirena IUD, Nexplanon and Depo Provera, contain the hormone progestin, which can cause irregular bleeding during the first few months. However, this bleeding usually stops over time and some women using these methods may not have any bleeding at all for several years. It is safe to use birth control methods to prevent periods under the guidance of your healthcare provider. In fact, it can be beneficial to your health by preventing painful cramps or heavy bleeding which can lead to anemia. Not to mention saving money on feminine products! Most women do, however, eventually experience bleeding even while using continuous birth control. For some, this might not happen for several years—for others, it might happen every two to three months. Many women choose to schedule their withdrawal bleeds for every three or four months in order to avoid surprises. Despite the many ways in which a woman can safely avoid her period, it is very important to know that sometimes not having a period is a sign that something is wrong. If you are not using hormonal birth control and you are naturally not having your period, you may have a condition called amenorrhea. “Primary” amenorrhea refers to a woman age 15 or older who has never gotten her period. “Secondary” amenorrhea refers to a woman who used to have regular periods in the past, but then has stopped getting her period for more than three months in a row. There are a lot of reasons why amenorrhea happens, such as hormone imbalances, stress, being overweight or underweight, use of certain drugs or medications, ovarian or uterine disorders and, of course, pregnancy. If you are not using hormonal birth control and you are not having your period, start by taking a pregnancy test. If the test is negative, make an appointment with your healthcare provider to find out what is going on. Amenorrhea can lead to serious health problems, such as endometrial cancer or bone loss, so it should not be ignored. If you’re considering your birth control options or want to discuss your period, contact a Women’s Healthcare Associates office to schedule an appointment.